In a country the size of Great Britain with such a large population there will always be a high demand for land, particularly for residential use. Local Authorities are continually having to find sites for new housing and employment uses. 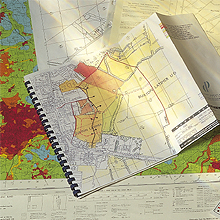 More and more landowners and agents contact us with parcels of land they would like us to promote, but part of our skill is in identifying where future development is likely to take place ahead of Local Authority planning machinery. 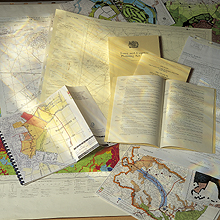 This means poring over maps to pin point where land falls within an appropriate frame work not necessarily now but 5, 10 or even more years hence depending on the prevailing Local Plans. Historically the vast majority of sites were formally farmland. These days, particularly in the light of recent changes to planning policy, sites will evolve from "Brownfield", or change of use situations as well as Greenfield sites. We are prepared to take on all manner of sites. Once we enter into a Promotion Agreement, we commit substantial resources to promoting each parcel of land with the Local Authority, a process which can take many years. 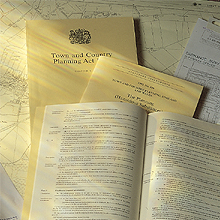 Occasionally we come across zoned land or land with outline consent where a detailed consent is unlikely for a number of years, for example, because it is subject to a road being constructed, drainage constraints or affected by a phasing restriction and a planning agreement. The classic example is where a landowner has had land within a large development site but may have to wait years for their land to be developed. If the owner would like to realise some money now, ORS is prepared to advance money ahead of achieving consent or a disposal, in return for an equity "stake" in the land, based on a percentage of the projected land value.